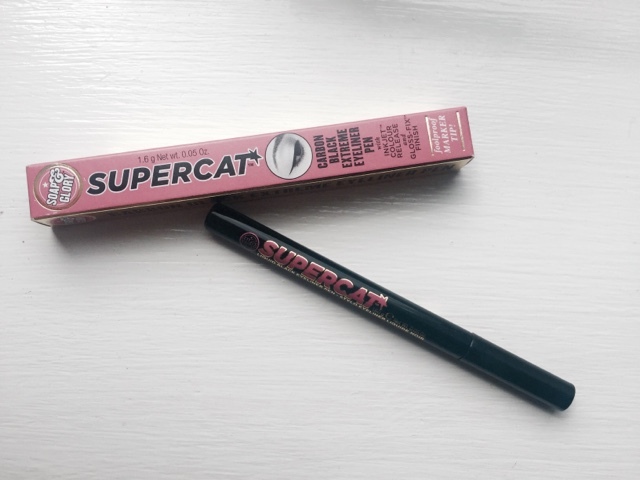 Very recently, while I took a trip with my family to Oban, I purchased the Soap & Glory 'Supercat' Eyeliner and I've been using it for the past week NON STOP. I just can't get enough of this eyeliner! I've always struggled so much to get the perfect winged look, but always end up needing the makeup wipes at hand to take off several of my failed attempts to look like Alexa Chung. I'm pretty sure it's all down to the actual nib of the eyeliner pen. I remember my cousin telling me once that it isn't much down to the formula of an eyeliner and more to do with the tip of it that enables you to create a masterpiece. She was definitely right with this one. The staying-power of the liner is incredible as well. None of this turning grey as the day goes on malarkey. It stays jet black and does what it says on the tin, or pen. 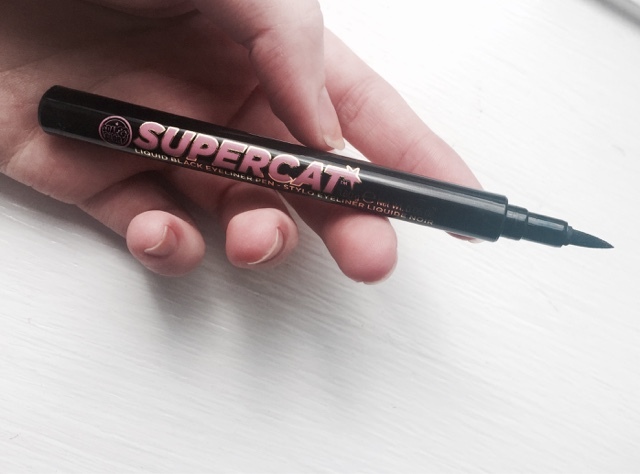 It makes your eyes look feline and super.